RS Heating and Building Co provide plumbing, central heating and building services in Sheffield and its surrounding areas. We offer a comprehensive range of domestic services undertaken by proven and competent plumbers, heating engineers, service engineers and building tradesmen, all our work is notified to the relevant authority and certified as appropriate. We provide domestic heating installations, service and repairs, and plumbing of all types, large and small. As plumbers and heating engineers, we operate primarily within the Sheffield area. 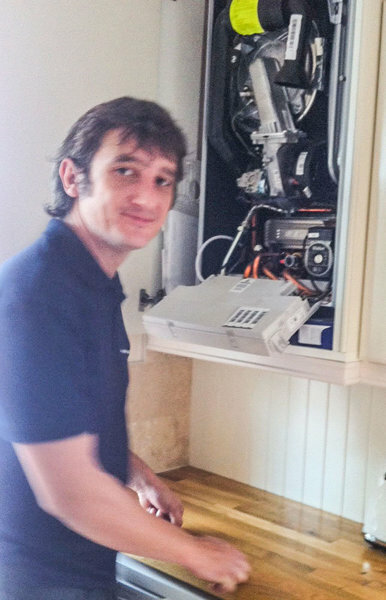 We are approved service engineers for Vaillant, Worcester Bosch and Glow-Worm equipment. Gas Safe Registered, we can install gas heating systems, replace faulty gas boilers together with offering a full repair service. The RS Heating team achieved an excellent result in an awkward situation. Our request:- to replace the old bath with the shower over it, the toilet and the wash basin with modern facilities. We did not want to lose the bath and we did not want a wall to be moved to allow more space. Lee, Scott, Darren and other team members worked their way through all the ups and downs of wet rot in floor and ceiling, 20" thick external walls, a rotten wooden lintel and a very confined space. They were always patient, hard working and friendly, with very good attention to detail. They did their best to work steadily through all the unexpected problems found with the property and only had to stay a couple of days longer than planned. In 2017 they fitted the whole house with central heating (13 radiators) and created a wet room out of our other small bathroom and their follow up service has been excellent as well. Their work is not cheap, but it reflects the high quality of design, planning, service and results. This is why we have used them so much. We've been using RS Heating and Building for over 20 years now, they have done a lot of work for us, all to a very high standard and attention to detail, they are particularly careful to leave the place clean and tidy after work done. The current task was to replace a faulty central heating pump. Things we like about the company: Roger is very friendly, efficient and straightforward, explaining options and making sure that we are happy with work planned. We get a specific time for the work to be done and if something crops up to cause a delay we get a phone call (even if the delay is only about half an hour) so we are never hanging around waiting hopefully for a visit. The staff team are experienced and keen to make a good impression, they work hard to make sure we are completely satisfied. My central heating boiler was repeatedly losing pressure. Having left a phone message at R S Heating, an engineer was with me within a few hours and the problem was solved. I was very impressed by the efficient, friendly service provided and would have no hesitation in recommending this company. Roger and his team were fantastic. The work was faultless and completed to a high standard. From the advisory visit to completion was only 10 days. Friendly and professional. We had a boiler and thermostatic valves fitted in the past by them, and recently had some other plumbing work done. Both times they arrived and completed on time, worked cleanly and tidied up before leaving. 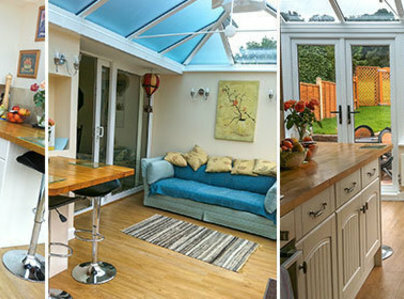 The tradesmen were friendly and efficient and went the extra mile to see that we were happy with the work. highly recommended. I used RS Heating and Building to sort out a range of issues with my heating - moving and adding radiators and replacing a faulty valve. Though some of the work was tricky, the guys had a can-do, problem-solving attitude. The job was completed quickly, to plan and the place was left very clean (even after plastering). A very trustworthy company. This was for an installation/replacement of a bathroom extractor fan. Emails were replied to in a timely manner and the correct (newer model) replacement unit sourced. One or two tertiary tricky issues resolved. Would recommend and re-use. We had our new radiators installed on what was the coldest 2 days of the year. Everything went to plan and they made sure we had heating and hot water at the end of the first day which was very much appreciated. A great job. Very professional!